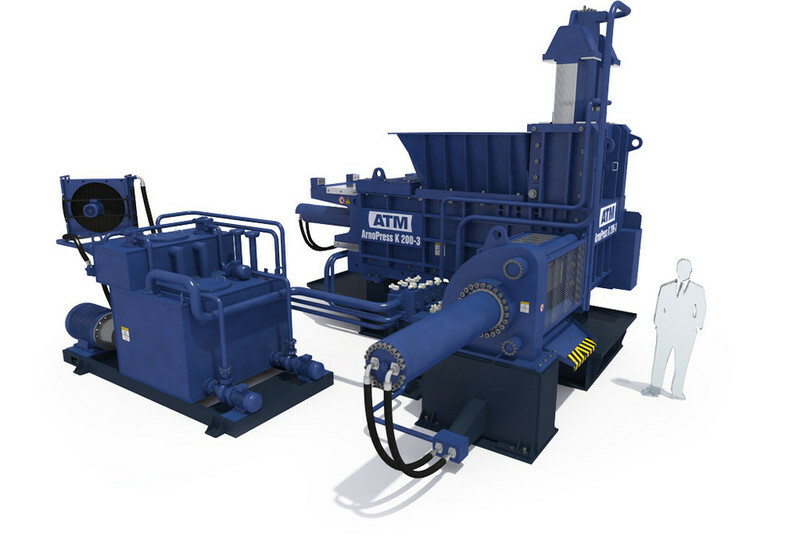 The ArnoPress K Series Baling Presses offer handling for Steel, stainless steel, aluminium, brass, copper, lead and, in particular, autobody sheet metal from the automotive industry. Unlike loose sheets, compressed bales, which are free from contamination, are easier to load and smelt. The machines are designed for heavy continuous operation. The systems can be integrated into fully automated production lines and can be maintained via a modem. This press series is predominantly used in the automotive industry and industrial press lines with high waste accumulation. 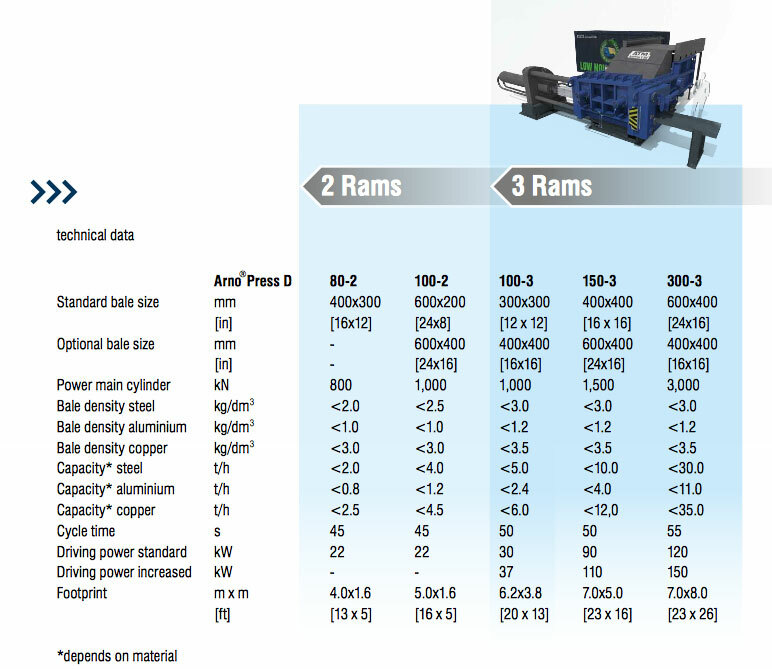 The ArnoPress D Series Baling Press allows bulky parts to be reduced in size as well as achieving precompaction. The cuboid shape of the packages means that transport and storage capacity can be optimally used. Even small quantities of entirely different materials such as copper guttering, aluminium wire or various sheet metal wastes can be quickly and separately compressed. The ArnoPress K Series Baling Presses are available with 2 or 3 compactor steps. There are a total of five sizes in the programme. Models 100-2 to 600-2 compact in two steps, while models 100-3 to 350-3 compact the material three-dimensionally. All parts coming into contact with the scrap are lined with high-strength wear plates with a special wave-shaped profile. The solid welded construction design means that the machines can also be used for heavy continuous operation. The visualisation of all process sequences means that the systems can be integrated into fully automated production lines and can be maintained via a modem. The main field of use for this press series is the automotive industry and industrial press lines with high waste accumulation. Depending on the purpose of the press we offer wear plates with square-, trapezoid- and wave-shaped profiles in various material qualities. A patented bale carriage allows for the buffering or the continuous transportation of bales via the subsequent conveyance system. Through weighing and pre dosing via charging hoppers the productive capacity of the press is optimised. 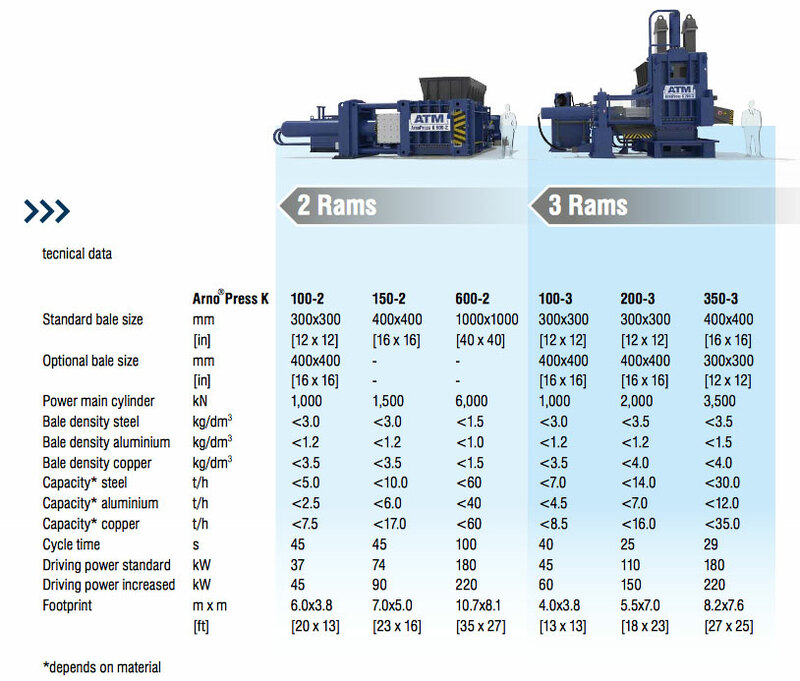 The bicameral system guarantees the supply of filtered and cooled oil to the performance-controlled hydraulic pumps. The pump activation technology regulates the required quantity of oil per cylinder, thereby minimising the necessary drive energy of the press. The ArnoPress D Series Baling Press can be supplied in five sizes. Models 80-2 and 100-2 compact on two levels, and models 100-3 to 300-3 compact the material three-dimensionally. The first compression is carried out using a cutting head, which allows bulky parts to be reduced in size as well as achieving precompaction. All parts coming into contact with the scrap are lined with high-strength wear plates with a special trapeze-shaped profile. Each machine can be controlled manually or automatically. Depending on the purpose of the press we offer wear plates with special square-, trapezoid- and wave-shaped profiles in various material qualities. 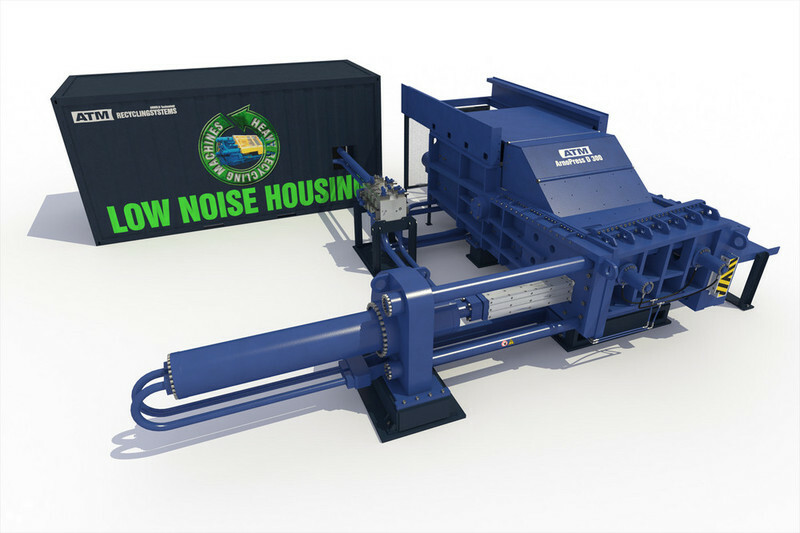 When the press is installed outdoors electrical and hydraulic components can be placed in containers, which also offer additional noise protection and reduction. The smaller presses of this series can be equipped witha chassis and the mobility can be further increased byadding loading cranes.